KAHR-102, a new immunotherapy drug to treat lymphoma, based on technology developed by Hadassah Medical Center Nephrologist Prof. Michal Dranitzki Elhalel and Pennsylvania Pathologist Prof. Mark L. Tykocinski, will begin clinical trials in mid-2016 at Hadassah, Tel-Hashomer, and Ichilov (Tel Aviv) medical centers. Prof. Dranitzki Elhalel, now head of Nephrology at Hadassah, explored possible applications for the fusion protein CTLA4-Fast while a research fellow in 2000 at the University of Pennsylvania laboratory of Prof. Mark L. Tykocinski, who invented CTLA4, now known as KAHR-102. Prof. Tykocinski, then head of the Department of Pathology and Laboratory Medicine at the University of Pennsylvania, is now Dean of the Jefferson Medical School, Philadelphia, PA and Provost and Executive Vice President for Academic Affairs of the Thomas Jefferson University. KAHR medical Ltd., based on Prof. Tykocinski’s patents, was established in 2007 by Hadasit, Hadassah’s technology transfer company. 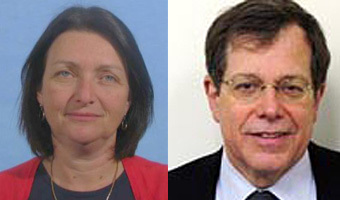 Prof. Tykocinski is Chair of the Scientific Clinical Advisory Board and Prof. Dranitzki Elhalel serves as KAHR’a Chief Scientist. Prof. Arnold Freedman, head of the Lymphoma Program at Dana Farber Cancer Institute, Boston, has recently joined KAHR’s Scientific Advisory Board.